The Science Council’s EU debate was full of well-rehearsed arguments from both sides. Each contained some facts, some fiction, and a lot of supposition. Take the issue that much of the argument centred on: whether the UK would continue to be able to access EU research funding on the same terms as it does now. Truth is, we just don’t know. According to the Royal Society, Associated Countries in the Horizon 2020 programme access funding on an equal basis to full Member States but do not get to shape funding programmes. So the UK would probably lose influence, but perhaps we would negotiate a clever deal of the likes never seen before. Both the leave and remain side could only suppose. As no country has left the EU, it is impossible to predict what will happen. What it is possible to predict is the uncertainty that would follow the decision to leave. Businesses and investors do not like uncertainty. The likelihood and timeline of achieving necessary new arrangements are unknown. The Comprehensive Economic and Trade Agreement (CETA) between Canada and the EU took five years from negotiations beginning in 2009, to agreement in 2014; and it is yet to be ratified by the EU and Canada so that it can be implemented. Companies would have to factor the risk of new agreements being less favourable or delayed into their business decisions, which would have an unknown but most-likely negative impact on investment for the UK. If the EU were not beneficial then it might be worth taking this risk but, as the BIA set out in its submission to the House of Commons Science and Technology Committee, on balance EU membership works well for the UK life sciences sector. Over a generation, regulators and legislators have built up an integrated European regulatory framework for clinical research and the development of new, innovative medicines. It is corner-stoned in the UK, and has significant UK input. 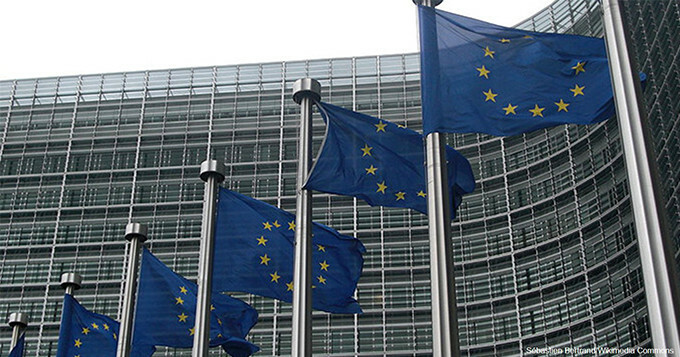 London is also the home of the EU-wide regulator, the European Medicines Agency (EMA). And the EU is also in the process of building an integrated Unitary Patent system, which will have a key presence in the UK through a London-based Court for pharmaceutical patents. If the UK were to leave the EU it would risk unpicking all of that successful work. Work that the UK has heavily influenced. The UK would be in the paradoxical situation of having a world-leading regulator (the MHRA) that is only able to create regulation for 3% of the global market (compared to the 27% that the EU represents), and whose work would be informed by a European framework that it cannot influence, rather than the other way around. Brexit could also pose significant risks to the UK’s attractiveness for inward investment and as a location for the world-leading talent the life sciences sector depends upon. All of this would have negative consequences for the UK and its economy. Does UK science need the EU? The motion of the debate was “UK science doesn’t need the European Union”. If I were to be pedantic – which I usually am – I would say that of course UK science doesn’t need the EU. We are undoubtedly a superpower in our own right. But the UK has worked hard with the EU to make sure that it works for us. From diverse funding streams for basic research to a regulatory system that speeds up safe access to new, innovative medicines for patients, we can better exploit our strength in science from inside the EU than out. Read what happened at the debate. Continue the conversation with us at @science_council using the hashtag #EUref.